Jaded Blossom: Guest Designer Kim! Merry Christmas!!!!! Kim here, So excited to be posting today! Its my favorite time and busiest time of year! Thank you Michelle and Candace for the opportunity to post on Jaded Blossom's Blog on such a special day! I decided to make a little Santa treat box for family and friends! Thanks for stopping by! Enjoy your day today! Great Santa box. Perfect for today! Merry Christmas to the Jaded Blossom team. So super cute! Merry Christmas! So cute. Hoping I can get motivated to go into my craft room over the holiday season and get something done. Merry Christmas to the super Jaded Blossom team!!! A Super cute & fun treat!! 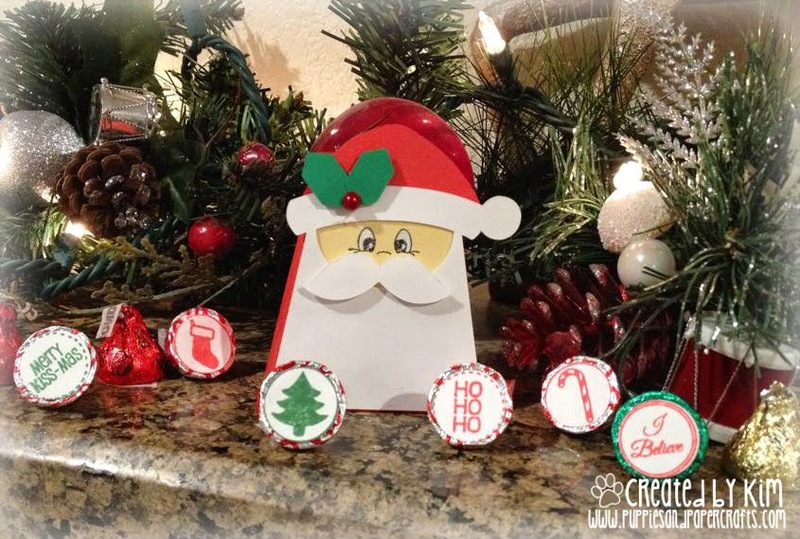 Love this Santa Box - soooo cute!!!!! What a cute Santa box. Merry Christmas. This is just ADORABLE! I love the PK eyes on that super cute Santa box and all the fun candies! What a cute Santa treat box! Kim--what an adorable Santa! I love his sweet face! Adorable little face and super cute project!